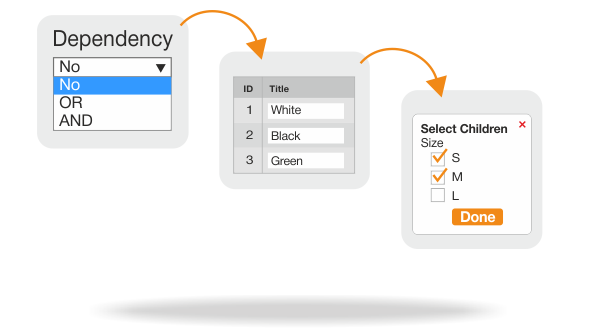 Use custom options templates to easily configure and edit product variations. Display product options only after specific conditions are met. Overlay main product image, upload & customize multiple images for product options, and more. 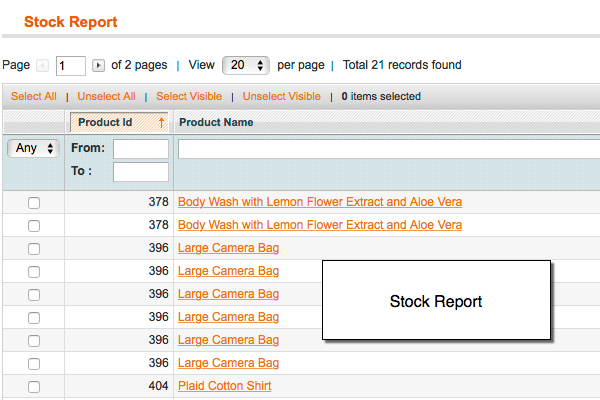 Determine the look of product variants’ SKU, enable/disable stock management, monitor stock reports. 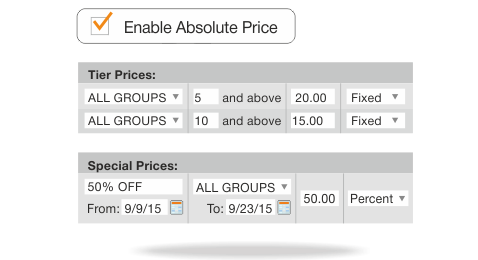 Create special/tier pricing for product variations. Adding a customized product options is a great way to generate bigger revenue and serve your store visitors in a better way. With Advanced Product Options Magento extension you can configure custom options for any product, manage products with complex configuration and create great deals for your customers. NEW Want to save time on configuring the extension? Check out our new service. What is Advanced Product Options for? The extension lets you save tons of time when configuring advanced product options. You will no longer have to input every product option by hand — the templates fully automate the process. assign options to different Store Views. Also, you can easily duplicate custom option templates, as well as import/export them right from the Templates Grid. Managing several options of a single product can become tricky, especially when doing it manually. Custom options inventory automates the whole process of stock management, so your customers can always get products they want. Show the quantity of custom options. Connect custom options’ inventory with the inventory of any product. Sell products that are currently not in the warehouse with the ‘Allow Backorders’ option. Inventory data for all custom options’ values available on a site. Updating the stock amount for one option/ a number of options in bulk. Quick search for low-in-stock/ out-of-stock options. Need to display EXTRA options only when the MAIN one(s) are selected? The Options Dependency feature makes it easy to create a single product with any number of variations to choose from (e.g. materials, size, color, dimension, etc.). OR dependency: shoppers can select the next product option only after they have picked up the main option. For example, a 'Size' option will be available only when a customer chooses the ‘Color’ one. AND dependency: dependent options will be shown only when two or more options are selected. Additionally, you can set stock availability and hide dependent options on the front-end. Absolute price - replace the product's price with the custom option's price. Special price - set promotional prices for custom option (different prices can be added for each customer group). Tier price - offer a fixed/ percentage quantity discount . If your products can be customized with colors - image swatch option is what you need to present custom options in all their color variations. 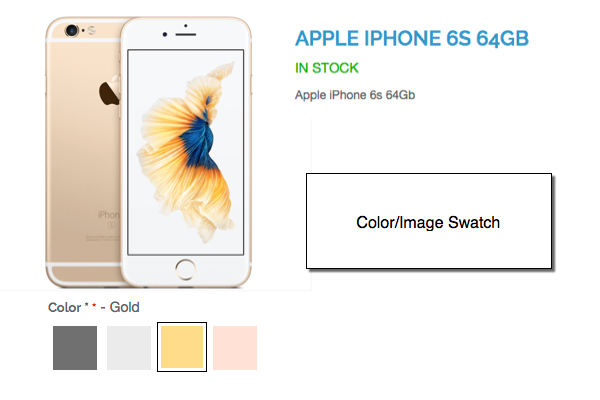 By replacing the standard drop-down with high-quality colors, images and textures, you create the best visual experience and motivate customers to buy. Display images instead of custom options. Upload multiple images to one custom option. Replace a product's image with a custom option's image. Replace a product's gallery with the option's gallery. Overlay image mode (e.g., you can apply a wording print design over a T-shirt image). 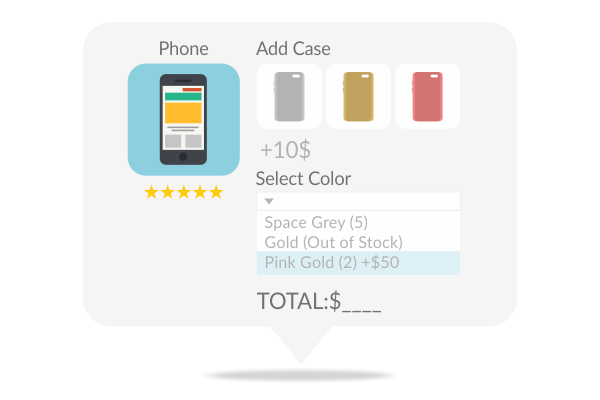 Segment your store audience and personalize custom option offers for different customer group. Thus, you can shape your targeted pricing strategy even more and provide different product configurations for different customer groups. Weight is a featre for configurable product options that lets your shoppers calculate shipping costs right in the shopping cart. Cost is a feature for configurable product options that lets you specify the most appropriate costs of your custom options to calculate your net profit correctly. Specify Weight / Cost value for custom options. Setup an Absolute Weight / Cost (in this case option weight / cost replaces the product's weight / cost). Include custom option weight into shipping costs. NEW On top of that, you can add the Universal Product Code (UPC) field for any custom option. 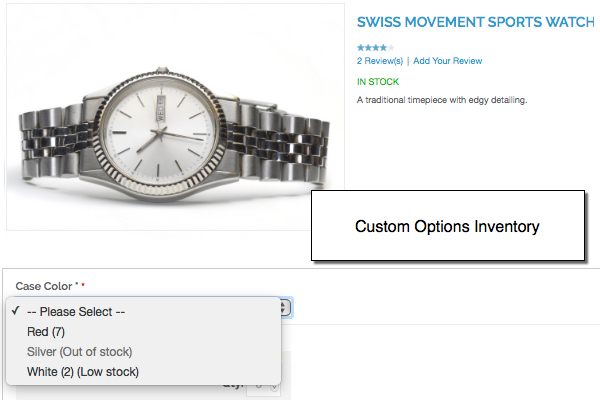 The feature lets you determine how the result SKU of custom options purchased product will be formed in the order. By default, if a custom option has a SKU, Magento adds it to the product's SKU in the order. That can trigger issues when exporting orders in the 3rd party systems. APO solves this issue. Dynamic countdown for entered characters (used for text options in the frontend). Specifying different DIV class for every product option. Magento custom options import/export (you can import/export products with custom options using Magento native Import/Export functionality). WYSIWYG for products’ option description. "Do Not Restore Deleted Options" feature is added to the Magento product options templates. Updating/keeping unchanged quantity of product options when updating options template. The ability to create product options is seen in the backend only. Adding descriptions for each option value. Characters countdown for text product options in the frontend. The ability to specify different values of custom product option for each Store View (You can translate an option title, an option description and a title of each option value into different languages directly in custom options templates). Creating custom options for specific Store Views only. Absolute prices for custom options (custom option's price will replace a product's price). Creating product options with one-time prices (custom option's price will be added to product price only once, regardless of product qnty added to cart). Invariable extension price - no matter how many k+ products you have. Compatible with Firegento MageSetup Extension for German market. 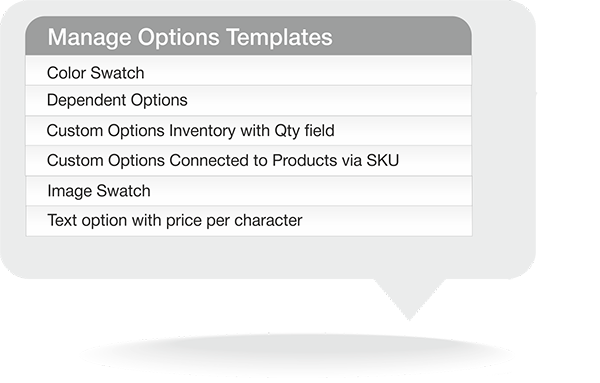 Check Magento Product Custom Options Suite on Magento Marketplace. Want to quickly and professionally configure your product options? We’ll help you create custom product options templates, set product custom options dependency, custom options pricing schemes and a lot more. Create additional services (fees) like Gift Card, Rush Delivery, Gift Wrap, etc. Easily charge extra (a fixed rate/ a percentage of order subtotal) and increase average order value. I used it for one of projects. It was very useful for us when we need to develop a function for PC customization product. 5 years we using this extension, we really depend on this. We recently found something weird and contacted support, they responded very quick and solved it for us. That service is why we buy from Mageworx. Keep doing it like this and you have a customer for life! Great extension if you have any kind of custom products. This extension is a must have if you have any kind of custom products. Support was super helpful when I installed another vendor's extension and it broke. Fixes a problem with displaying the description for options of the type "Swatch" and "Multi Swatch"